Improving the health of your soil starts with knowing where you are today. Some call it listening to the soil and others call it soil testing. Before you start adding anything to the soil, you need a good clear diagnosis of what’s going on right now. We know testing works. Over and over we’ve seen soil health improve because there was a clear plan that all started with an effective soil test. 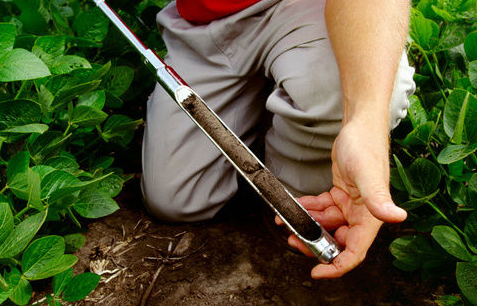 An effective soil test will help you understand clearly what the nutrient requirements are for you soil. It helps you check on the overall health of the soil and put a plan in place to improve. We use a straight-forward and effective three-step process. Use the results of the soil analysis to define the nutrient requirements for optimum soil health. If you’re working with an Agronomist, we’re happy to work closely with them to put your plan in place. Or if you want to work with an Agronomist and don’t have one, we’re happy to connect you with one from our network in Ottawa and Eastern Ontario. Together, we’ll help put the best course of action for you and your soil.